Two: The power of doubling when split, rather than remaining one plus a zero. A vital form of arithmetic. 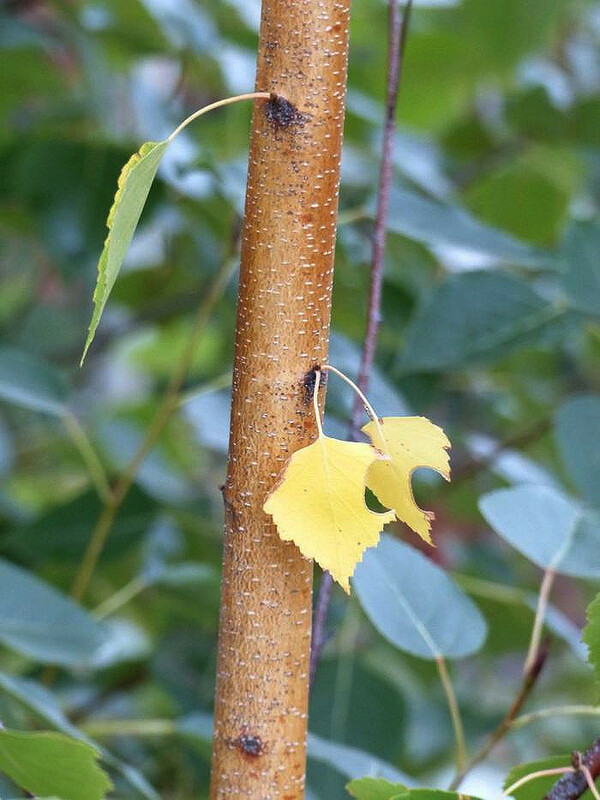 In the image below, the two birch leaves bit together when small have grown to amplify the same bite, while the single leaf on the left has not divided, and thus remains one. For a third thing to be present, these leaves need to be split from each other. For three leaves, the two leaves have to be disassociated from their twin (two) nature, and considered separately. At that point, there are three leaves, all equal in their leaf-ness. If we remain at the level of two, however, there is little similarity between the two yellow leaves and the one green one. A similar force of increasing distance and decreasing physicality occurs if the trunk of the sapling is added as a fourth item.